I first stumble upon her blog when I was Googling for Oscar looks. I noticed how she's from Perth and that was enough for me to be a follower. I immediately stalked followed her on Instagram because her feed is so beautiful and we all know I am all about Instagram these days. Her personal style is classic and timeless and her hair always look amazing! 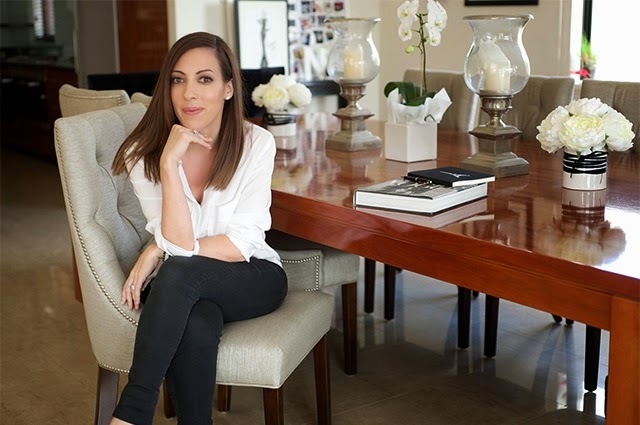 She's a beautiful mum to 2 very genetically blessed children, and just in case you didn't know, Natalie is City of Perth's Official Fashion Ambassador! Now, if that job is not cool enough then I don't know what cool is. Let's just snap me out of my #fangirl moment here and let's get started. 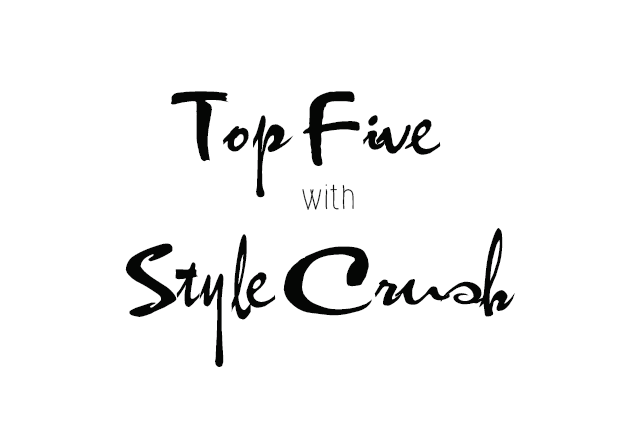 Ladies and Gents, to officially inaugurate this series, I present to you Style Crush and her Top Five. I would be Chantecaille. I love their products and they are French! I've secretly always wanted to be French. Question 2: Your Top 5 Beauty Lessons you've learned since you started blogging? Contouring, the power of false lashes, the power of a bold lip, the importance of moisturising and lastly it's never too early to start thinking about anti-aging!!! Question 3: Who is your Makeup Hero? My make up hero would have to be Margot Robbie at the moment. She is killing it with her red carpet looks. That Oscar look for me was IT!! Question 4: Share your Top Five (or less) cringe worthy makeup faux pas you've committed in your early makeup days. Lip liner 5 shades darker than lipstick! Wrong coloured foundation that looked orange when I was about 16! Pink blush! I used to put so much pink blush in a circle on my cheeks! Question 5: Top 5 Makeup items in your makeup bag that you can't (or won't) live without? YSL Touché éclat, my eyelash curler, Dior mascara, my Amy-jean brow gel and powder, Benefit porefessional primer. Bonus Question: If you were to ask to give up every single makeup item except for 1 - what will you keep? This one was easy, I couldn't live without my touché éclat from YSL. The. Best. Ever. This series couldn't have started any better. I enjoyed my chat with Natalie online. She's very sweet and very down to earth. I have to agree about Margot Robbie. The woman can do no wrong. I really enjoyed writing this post and I am looking forward to future collaborations with other Beauty Bloggers.